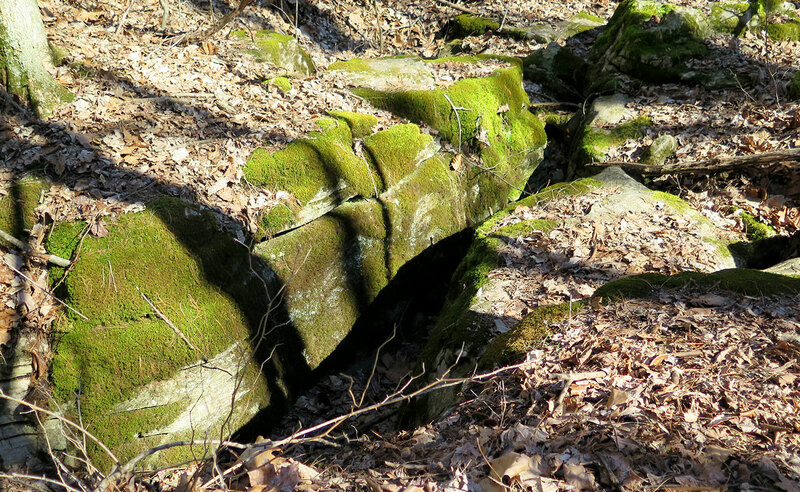 Porter West — a small property about 20 minutes west of downtown Bloomington, owned and managed by Sycamore Land Trust (SLT) — is an area where the natural beauty of Indiana is on full display throughout the seasons. In the spring, wildflowers bloom in abundance along its trails. During the summer, its thick canopy provides visitors with shade from the heat. Come fall, it bursts with vibrant hues of orange, yellow, and red. Even the rich tans, browns, and grays of winter create a rich tapestry. It is, by any measure, one of Monroe County’s hidden treasures. 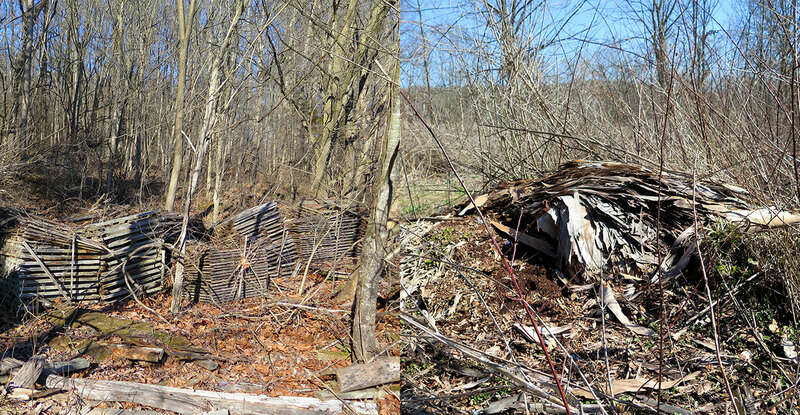 Before the David T. Porter trust donated the land to SLT in 2008, the property served as a composting site for dozens of years. 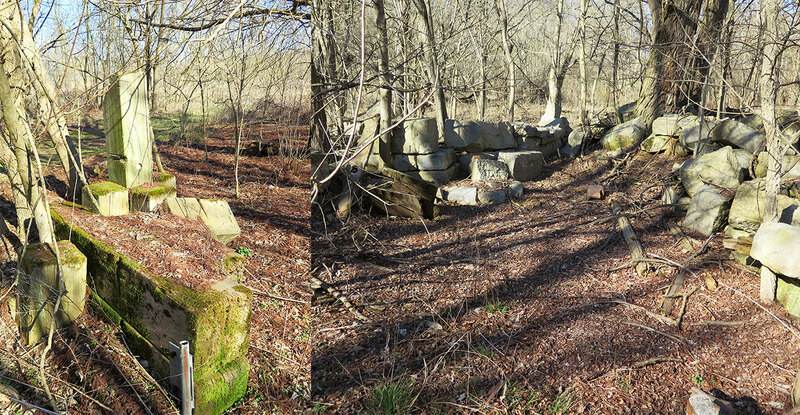 Old processing structures made of concrete still stand throughout the preserve, offering reminders of its former life. 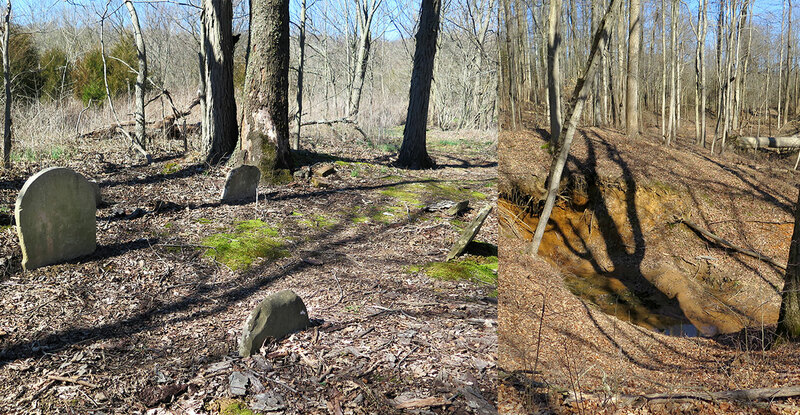 There’s also a cemetery, where almost all of the handful of inhabitants were laid to rest decades before the 1900s. Now called Porter West, it illustrates how some people can see a parcel of land as undesirable while others see potential. Even though the place is covered with sinkholes, compost piles, and a spooky cemetery, the people at SLT saw a diamond in the rough. But it takes work to get a newly acquired SLT property prepared for people to enjoy and to keep it that way. SLT Communications Director Abby Henkel says the most difficult issues aren’t always the most obvious ones. One of the biggest problems the land trust faces with its properties is the constant threat of invasive species. 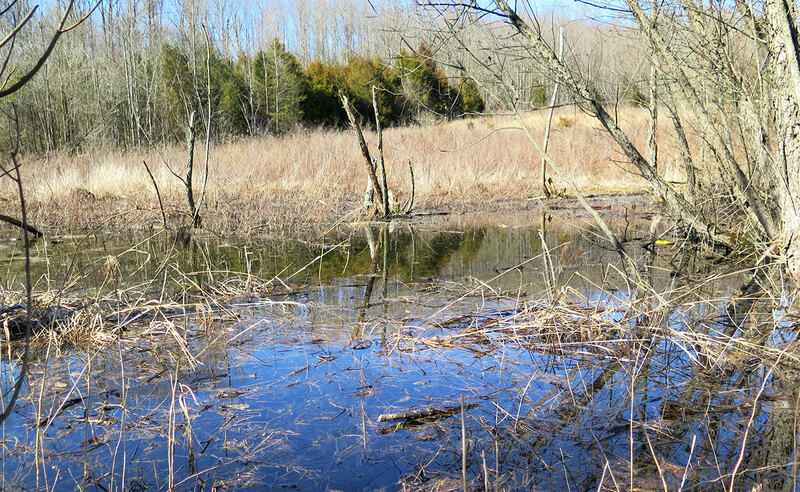 When a nonnative species infiltrates a property, getting it out is not an easy task. Herbicide is not always a valid option, primarily because it could impact native flora close to where it is sprayed. So it takes a dedicated team of volunteers to go in and hack down any invasive plants that have grown. Some species need to be uprooted. 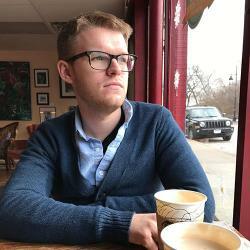 Because removal is so difficult, the presence of invasive species is also a consideration when the land trust is deciding to acquire new land, although an infestation isn’t necessarily a deal-breaker. Another issue SLT has to tackle when considering new land is balancing public accessibility with preserving native flora and fauna. Any time people are allowed onto a property or a new structure is built, it has an impact on wildlife. According to Henkel, a number of issues can be avoided if people follow a few rules when they visit an SLT property. For starters, trails through places like Porter West are laid out to have minimal impact on wildlife and the land itself while still allowing visitors to see the natural beauty of the site. So it’s important for visitors to stay on the trail. They should also pack out anything they take in, even stuff people wouldn’t normally consider. Dog feces, for example, which carries bacteria, viruses, and other microbes that can harm wildlife. Henkel says this often gets left behind. 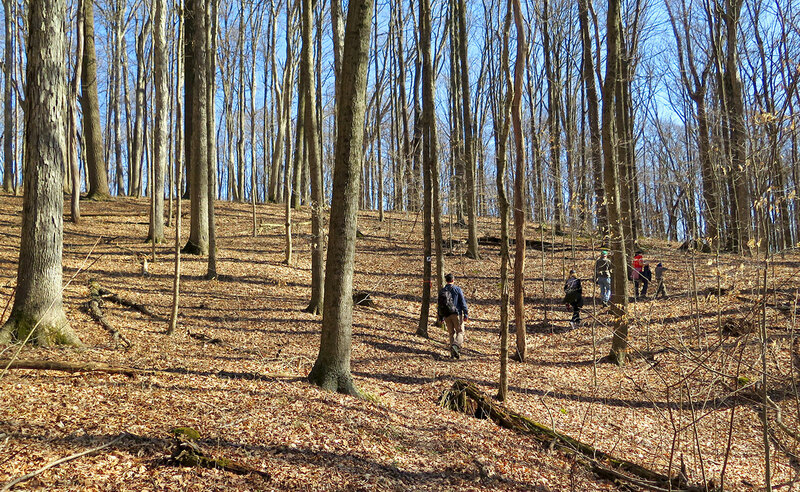 Hikers should scrape their boots before and after entering the site. Seeds of invasive plants can hide in the mud stuck to shoes and then spread while hiking. They should also not remove anything they find at a site, such as animal bones and fossils. When dealing with human-built structures, SLT takes a more hands-off approach. Typically, Henkel says, they prefer to let nature take its course on most of the manmade structures. For example, the compost-processing sites at Porter West (a hold-over from the property’s previous owner) will be allowed to decay and crumble naturally. These structures are moved or demolished only if they are having a harmful effect on the surrounding ecosystem. 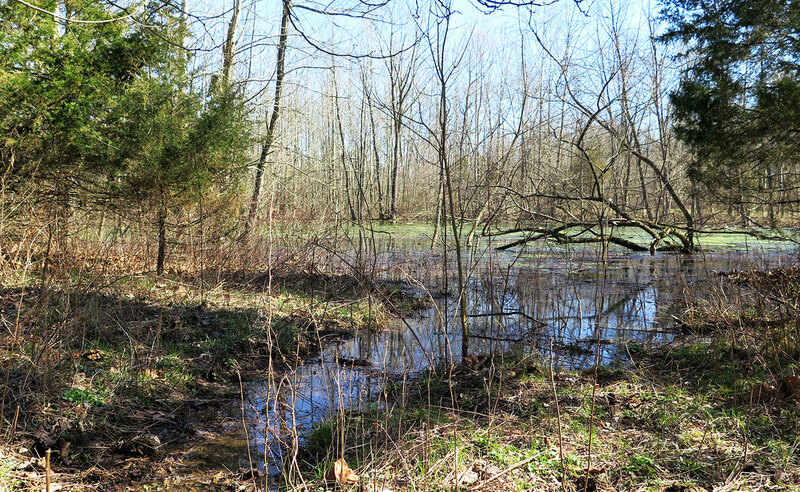 Henkel says the land trust rarely performs upkeep on a structure, and, for the most part, “We wouldn’t take [the property] if the owner said something like ‘I want you to keep this structure in pristine condition.’” SLT’s main concern is the care and upkeep of the environmental aspects of their properties. Sycamore relies heavily on volunteers, who help with a wide array of duties. 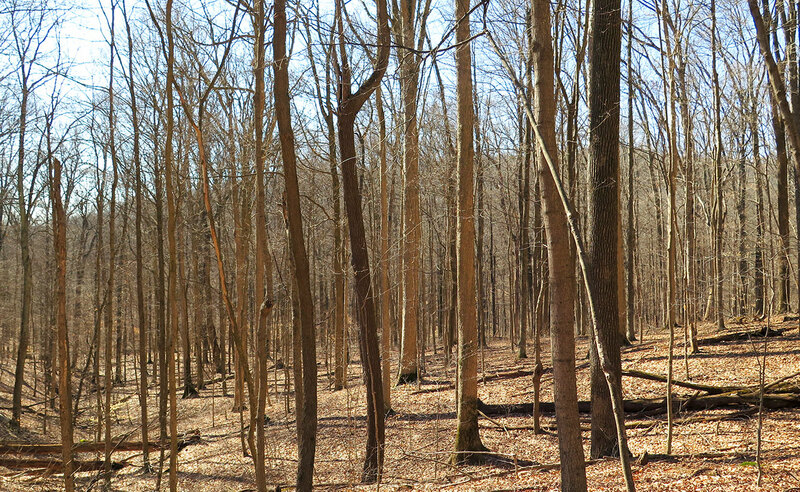 The land trust works extensively with the Hoosier Hikers Council, an advocacy group that helps build hiking trails around the state, such as through Porter West. 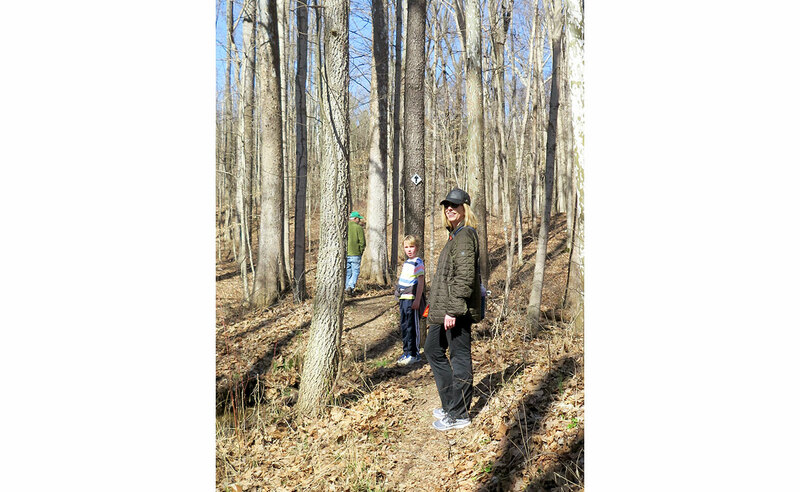 Members of Sycamore Land Trust often volunteer for trail-building and other preservation projects, but SLT welcomes nonmember volunteers, too.